Looking for something to get you on top of the competition? 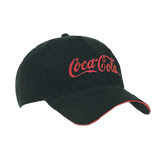 Promotional caps are one of your best bets–people wear them on their heads, so they’re naturally visible and constantly in the line of sight. They’re flexible giveaways–you can use them for a retail shop, a trade show, or a sports event. Find a free-size custom cap. Head size is practically on top 3 of any buying guide on promotional caps. People’s head sizes vary, so one cannot buy a hundred or so promotional caps of a specific size because some of them may not fit your recipients’ heads. The solution? Get the ones with hook-and-loop tapes to make the back adjustable. Choose a durable, colorfast fabric. Your promotional caps should withstand the wear and tear, so find a quality model that does not fade easily. Embroider your logo. It’s more expensive than printing, but the effect is impressive. Embroidery also renders your logo flawlessly–the details and colors simply stand out.